Such large cardboard tube packaging box for tea with wooden lid is quite an ideal choice for your loose tea packaging, as such structure is very common for tea products. The box is made of 300g cardboard, and in addition we put 68g red scarf paper and wooden lid. Such combination is specially made for conserving tea, a product that is sensible to smell and moisture. Here we present two specifications: 245g and 500g, but there is always other customization options to be chosen from. This box uses a very traditional oriental design with Chinese character “tea” on the surface, realized by CMYK printing, as to help customers to understand at a quick glace what is inside. We are professional manufacturer for years and have a whole team stand by at your service. 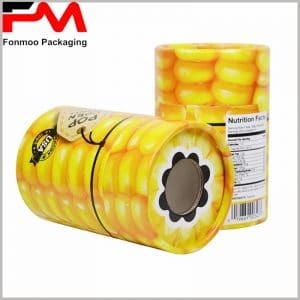 If you are interested in developing your own large cardboard tube packaging box with wooden lid for tea like this one, just tell us your demands and we will provide what you need in the shortest delay.